A lush, healthy lawn can make a property look truly spectacular. At Grounds Crew we have the tools and skills necessary to get you that perfect green lawn that will make you the envy of your block. Our team of professional landscapers have all the training and materials required to deliver a wide array of turf services for your residential or commercial property. 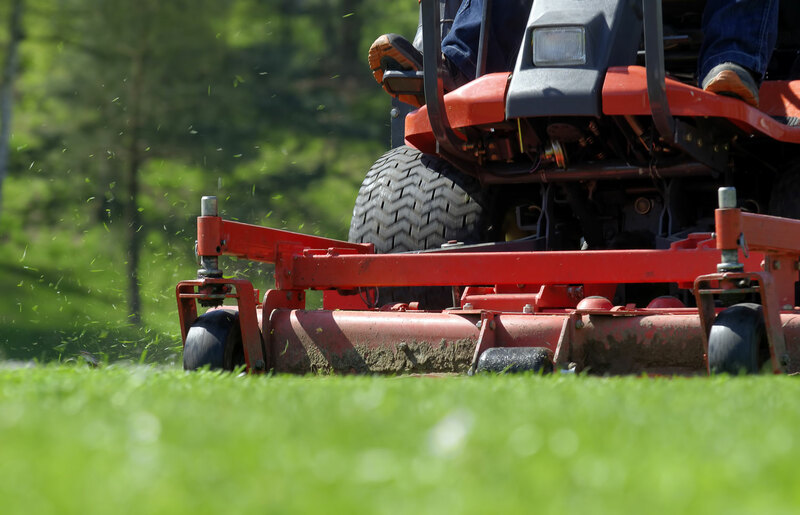 For existing lawns we offer one time, weekly, monthly and seasonal services: mowing, aeration, fertilization, weed control, de-thatching, and power raking. In addition to caring for your existing lawn we also provide sod installs. Call us today to talk about the right set of services for you; let us do the hard work while you enjoy your beautifully maintained outdoor living spaces. Weekly services include trimming and blowing clippings off hard surfaces. Grass is generally mowed at a height of 3 inches to maintain a healthy lawn. A high mowing height requires less water and the grass is more tolerant to drought and disease. The Grounds Crew team use high quality commercial fertilizers and pesticides to maintain a healthy, weed free lawn. Throughout the growing season we will trim your bushes and shrubs for a clean, professional look. Dethatching removes the layer of decomposing grass, stems and debris from the topsoil. Some thatch is normal, but an excessive layer can hinder grass plant health. Dethatching can be done with the use of a dethatching rake mounted to a mower or by the use of a Power Rake. Core aeration is done in the spring and fall. Aeration removes plugs of soils from the lawn to ease compaction. This allows for proper air and water exchange with the soil to maintain a healthy lawn. Most lawns should have this done annually in the fall. Lawns with significant compaction or clay soil should be aerated spring and fall. Slit seeding uses a machine about the size of a push lawn mower to dig very narrow trenches about an inch apart and 1/4 inch deep. Seed is dropped into the trenches. Slit seeding has a high germination rate because of the proper seed to soil contact and it a great way to revitalize tired lawns or rehabilitate bare patches. For new landscaping or lawns that cannot be rehabilitated, fresh sod may be a solution. We’ll lay it professionally and ensure adequate top soil so your new sod grows into a lush lawn in no time.